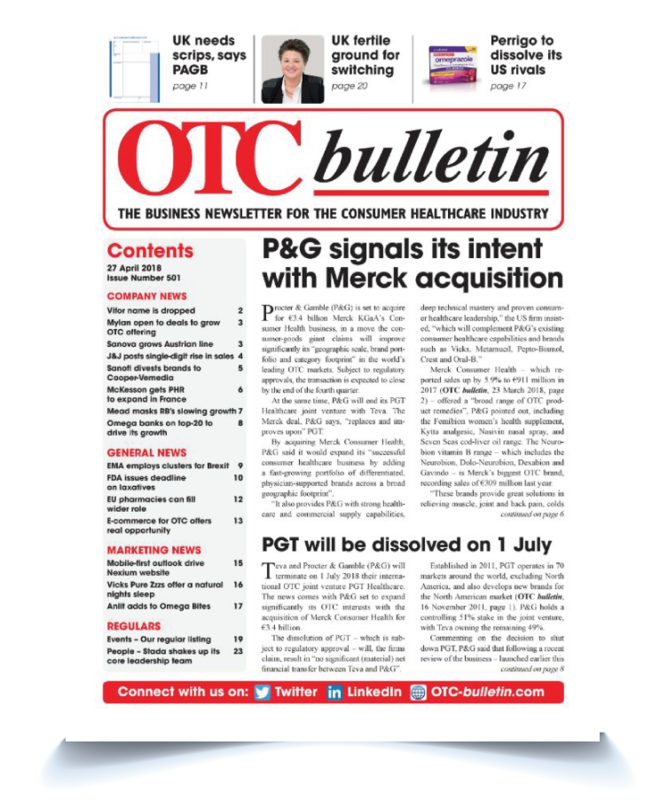 Get your free trial of OTC bulletin, the trusted business newsletter for the consumer healthcare industry. • … and much more! Plus, gain access to the OTC bulletin searchable archive of over 160 editions dating back to 2008. Make more informed business decisions with OTC bulletin, starting today. Pharma Intelligence. Copyright © 2018 Informa Plc. This site is owned and operated by Informa plc ("informa") whose registered office is 5 Howick place, London SW1P 1WG. Registered in England and Wales Number 1072954.